As we spend a lazy Sunday afternoon contemplating the chores it seems hard to believe that this time last week we were zooming down a mountain. 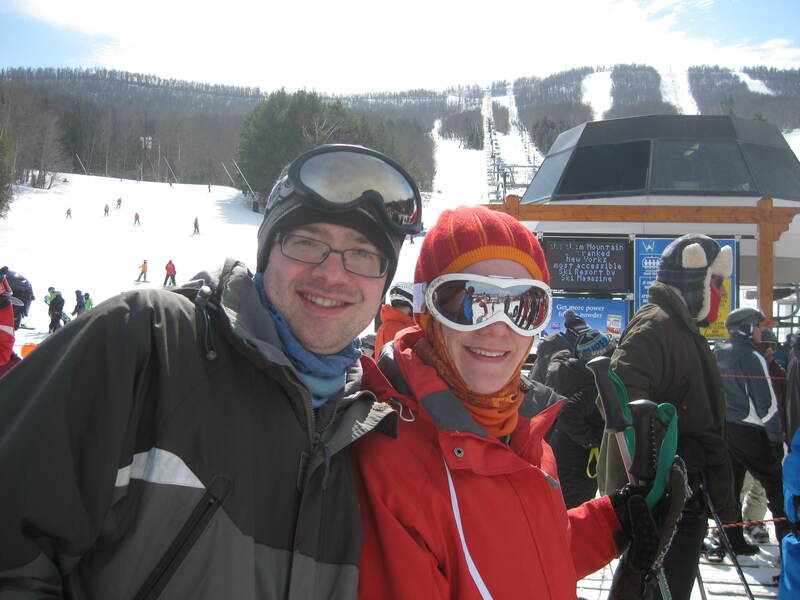 As we’ve been talking about doing this since we first found out it was possible (back in late 2012, I believe) we were more than pleased when our first houseguests this year appeared keen to take up our suggestion of a day trip to one of the ski areas around NYC. 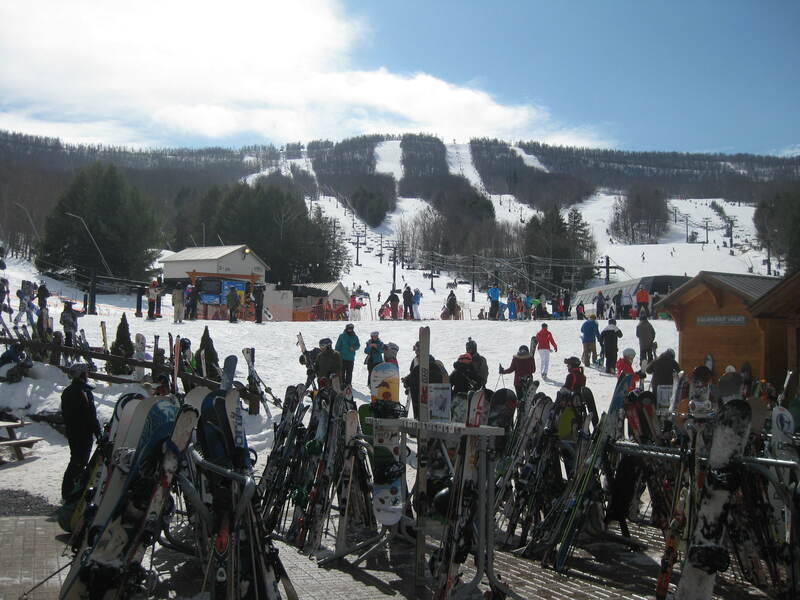 A little research found eminently day-trippable mountains in several adjacent states, but we opted to head to Windham in upstate New York, mostly because it looked to provide a larger ski area for more or less the same cost. Aiming to get to the slopes not too long after the lifts started running we decided on a 5am departure, and after just a couple of minor issues we piled into our hire car and headed out of town. Despite the surprising number of other cars on the road, driving in Manhattan at that time of day is much more pleasant than normal, and in no time at all we were properly on our way. I’m rapidly coming to the conclusion that every good roadtrip needs a diner breakfast or two, and we broke our journey at the rather charming College Diner for generous plates of fried things. 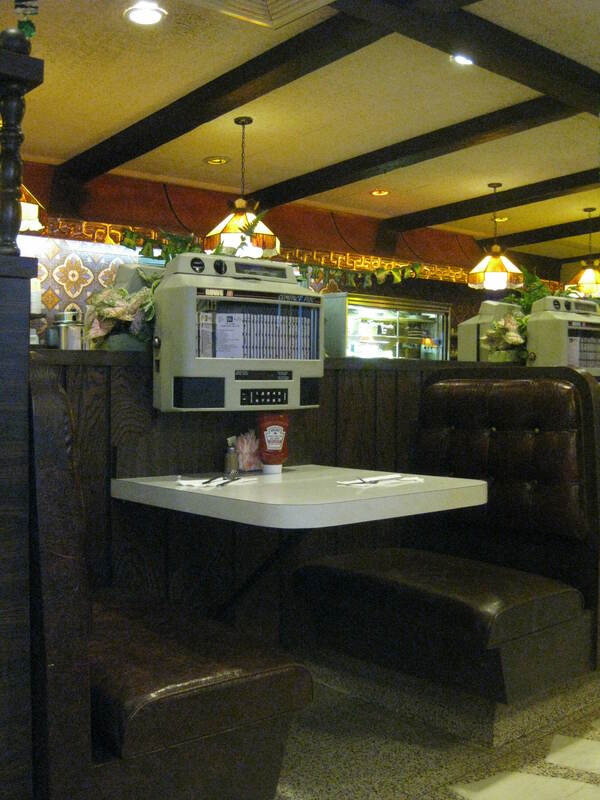 I think this was my first time at a place where every table had its own jukebox, but given the early hour we opted to eat in silence. Snow was falling gently as we arrived at Windham, but after the first hour or so the sky brightened and by mid morning we were skiing in glorious sunshine. Having warmed up on a few blue runs, even Tom was ready to try out a black single diamond or two. It turns out that Windham is not a particularly steep or challenging resort, and with the nice snow conditions even the black double diamonds were enjoyed by all. After a good start to the season back in Utah, Tom had very much found his ski legs, and with faster skiiers to keep up with he was soon zooming down the runs ahead of me, and all four of us had a lovely day. 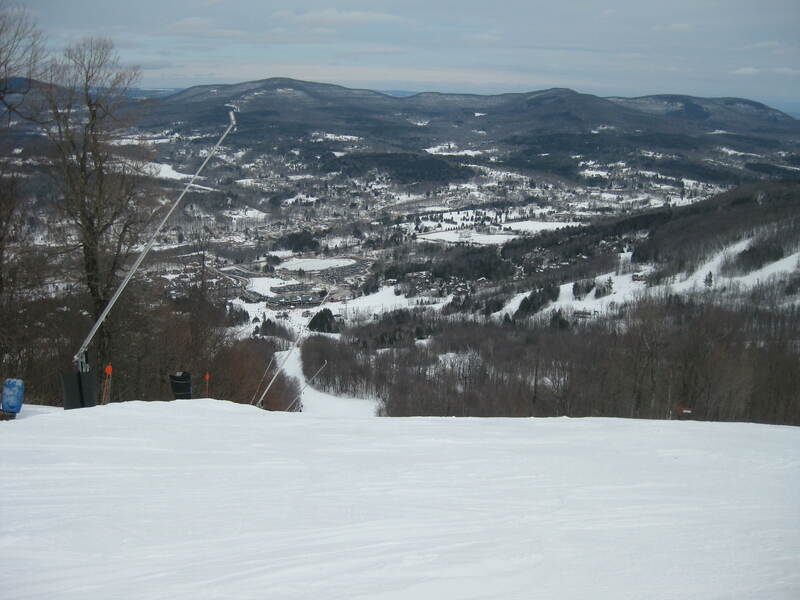 This entry was posted in Exercise, Travel and tagged skiing, Windham by Emma Davidson. Bookmark the permalink.